Head Scientist At CDC Weighs Costs Of Recent Lab Safety Breaches : Shots - Health News The mishaps mean federal scientists need to "take a hard look" at all federal research on deadly pathogens and make sure, in each case, that the benefits justify risks, says Dr. Tom Frieden. We need to take a hard look at the risks and the benefits of the different types of research that are being done and make sure in every case that the benefits justify ... potential risks. Since then, a number of other security risks in and via national laboratories have come to light: Ordinary flu virus was unknowingly contaminated with the deadly bird flu virus (sent from a CDC lab); vials of smallpox virus were found forgotten in a National Institutes of Health storage room; and just this week the FDA revealed that forgotten vials of other potential bioterrorism agents were discovered in the same storage room where the smallpox samples turned up. These lapses, occurring in some of the nation's top government-run facilities, left many to wonder whether the CDC, which is charged with protecting the public from natural and man-made health threats, is capable of shielding Americans from the risks posed by its own research. 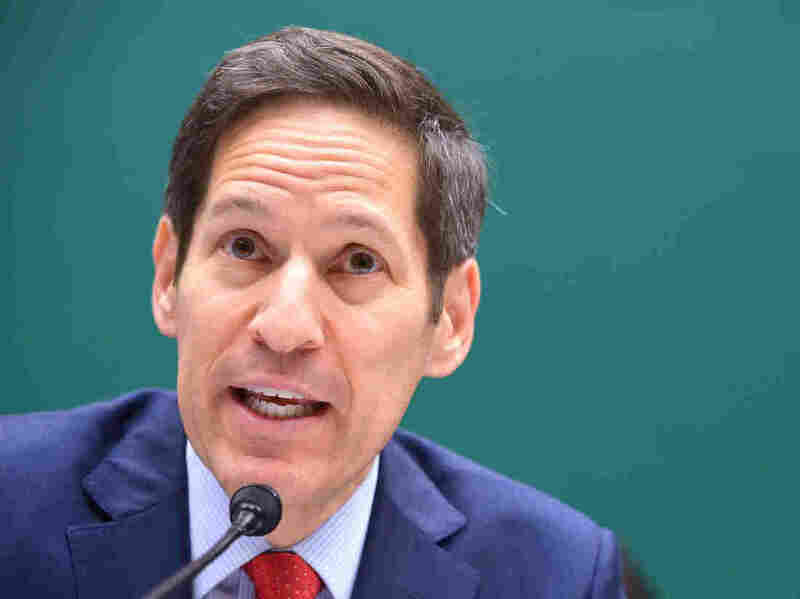 Under questioning by lawmakers on Wednesday, the CDC's director, Dr. Tom Frieden, testified that these errors represent a larger pattern of unsafe practices in government laboratories that must change. This week Frieden sat down with NPR's Morning Edition host David Greene to discuss these breaches and what new steps are being taken to ensure the safety of lab workers and the public. Following are highlights of the conversation. I've imposed a moratorium on transfer of all infectious or potentially infectious material out of all of our high containment labs until we trust but verify that they're changing their protocols. ... I've closed the individual labs associated with the two incidents and they won't reopen until we are certain that they can reopen safely. I've appointed a senior scientist to be the single point of accountability and we're going to work at every level of CDC to increase the culture of safety here. One of the things that we want to ensure in the strengthening of the culture of safety is that people understand that anytime there might be a problem — or there is a problem — report it, rather than try to figure it out first and then report it. CDC scientists are rightly famous around the world for being the top in the world in their field, and that same rigor that we've been applying to finding and stopping outbreaks — that's the rigor we are now applying to improving safety at CDC. Scientists don't regulate themselves. We currently have a select agent program run by both a separate division of CDC and the Agriculture Department's Animal and Plant Health Inspection Service. These two agencies ... oversee all entities that work with select agents. We make unannounced site visits; we have detailed reviews. We'll look at whether these incidents suggest that we should do other things in addition at those. We're certainly open to anything that will improve lab safety. One of the things that I will be doing this week is inviting an external advisory group that has no prior employment with CDC to ... look at what we are doing on lab safety and biosecurity and suggest any ways that we can improve that process. One thing that all three of these incidents suggest is that we need to take a hard look at the risks and the benefits of the different types of research that are being done and make sure in every case that the benefits justify ... potential risks.